Starbucks and Square announced a groundbreaking new partnership on Wednesday, which includes a $25 million investment into the mobile payment startup as part of its Series D financing round. The deal will bring Pay with Square into all of Starbucks' approximately 7,000 participating company-operated retail stores this fall. 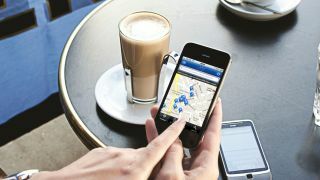 And, users will also be able to search for their closest Starbucks from within the Square Directory. The move also allows Starbucks customers to find other local businesses who accept Pay with Square, which is likely to be a nice boost to small businesses at the same time. Starbucks is already the largest mobile payment platform in the United States, and will begin processing all of its credit and debit card transactions in those retail stores through Square as part of the deal. "As the leading mobile payment platform in the U.S., Starbucks is constantly evaluating the payments landscape and anticipating what is next for consumers," a spokesperson for Starbucks told TechRadar. "Starbucks believes in the values and vision of Square, and is pleased to begin working with Square to make the convenience of paying with Square more widely available to its customers," the company added. "This partnership will also reduce Starbucks card payment processing costs. "Starbucks will continue to offer customers its own mobile payment applications, enhanced with My Starbucks Rewards benefits," the statement concludes. "However, for current customers using Pay with Square, this opens up a new way to pay at Starbucks." Pay with Square will be integrated into the existing iPhone and Android Starbucks mobile payment apps this fall, and a similar update to the Pay with Square app will likewise add Starbucks locations across the country to its Square Directory. Starbucks chairman, president and CEO Howard Schultz will join Square's board of directors as part of the partnership, which also infuses the mobile payment service with a $25 million investment as part of the company's latest round of financing.